The Alliance is a regional partner to several organizations that provide crucial services to communities, locally and statewide. The Alliance has partnered with Adams County Office of Planning & Development (ACOPD) to facilitate discussions with all 34 municipalities and the 6 school districts across Adams County as part of a community outreach effort. Adams County leads in agriculture, tourism, advanced manufacturing, and healthcare. With a dedicated workforce made up of communities of multi-generational families, our resources are second to none. Growth and sustainability in business come from where you put down your roots. Plant your business in the right environment – Adams County, PA. 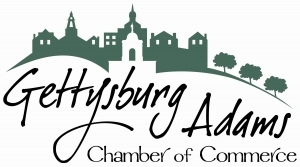 The Gettysburg-Adams Chamber of Commerce supports the local business community by promoting diverse economic opportunities through advocacy, networking and information. The Chamber is our community’s small business advocate. The team at Destination Gettysburg generates a positive awareness of the community, assists with professional development, collects tourism-based research for new and expanding businesses and assists in developing business partnerships. 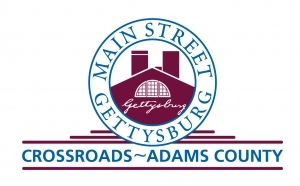 Main Street Gettysburg is a non-profit organization committed to the preservation and revitalization of Historic Gettysburg for the benefit of its citizens, businesses, and visitors. Main Street offers small, low-interest loans for façade improvements for business in the Borough. Harrisburg Area Community College- Gettysburg Campus is Adams County’s workforce development partner and local community college. 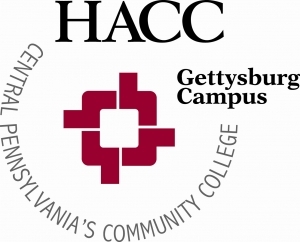 HACC provides top-notch education with the ease and flexibility necessary for today’s student. The Small Business Development Center (SBDC) at Shippensburg University provides no-cost confidential consulting and low-cost training to small business owners and potential entrepreneurs in Adams, Cumberland, Franklin and York counties. Pennsylvania has the resources to help your business succeed. It goes beyond our skilled workforce, prime location, and exceptional quality of life — here, we mean business. Programs available for real estate and equipment purchases, and so much more. South Central Pennsylvania’s manufacturer’s resource and a regional trade organization, serving more than 350-member companies located within a ten-county region of Pennsylvania as well as three counties in Maryland. ScPA Works mission is to unlock the human talent that drives the development of businesses and individuals. This is possible by building a productive network of business, economic development, and community partners to create a demand driven opportunity engine for our region. Mantec, Inc. is South Central Pennsylvania’s leading manufacturing training & certification provider. Providing services such as Six Sigma and Lean Manufacturing, MANTEC is a necessary partner for manufacturers in South Central Pennsylvania. The EDC Finance Corporation is the Alliance’s strategic partner that provides SBA (Small Business Administration) 504 Loans to businesses located in Adams County for real estate and equipment projects. Contact Kaycee Kemper, Vice President, for more information!